Arrow Dickerson, principal agent of the Arrow & Associates insurance firm in Toledo, Ohio, is announcing a charity drive to raise hope and support for those battling cancer. 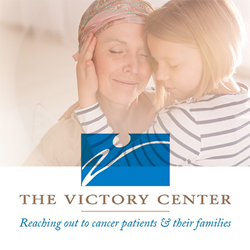 Donations raised during the event will be provided to The Victory Center, a regional nonprofit that works to provide meaningful support to cancer survivors. “We can all give back to cancer patients by making sure that these services are kept here, close to home,” said Dickerson. The Arrow team will be relying on community involvement to help generate donations for the cancer charity, and is asking for local residents to refer friends and family into the firm for a no cost quote on insurance. For each referral received, the Arrow team will make a direct monetary donation to The Victory Center. Additional details on how to get involved and help support the event have been provided on this page: http://arrowdickerson.com/rewards/. As a Personal Insurance Representative in Toledo, agency owner Arrow Dickerson knows many local families. Her knowledge and understanding of the people in her community ensures that clients of Arrow & Associates are provided with an outstanding level of service. Arrow and her team look forward to helping families protect the things that are most important – family, home, car and more. Arrow & Associates also offers clients a preparation strategy for achieving their financial goals. To contact an expert at Arrow & Associates, visit http://arrowdickerson.com/ or call (419) 841-5017.